Visual Web Ripper is a powerful visual tool used for automated web scraping, web harvesting and content extraction from the web. Visual Web Ripper automatically walk through whole web sites and collect complete content structures such as product catalogues or search results, and save the content in many different formats, including XML, spreadsheets and databases. It is full of unique and powerful features that will allow you to extract content. 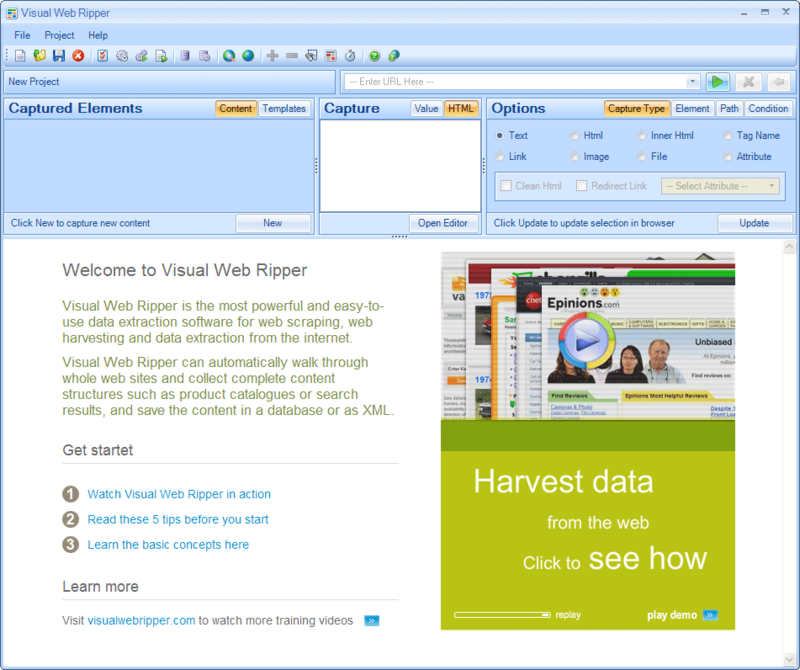 * Visual Web Ripper has a visual editor to define projects and templates. You use a mouse to click on the content you want to collect, so no coding is required. * Visual Web Ripper has a fast multi-threaded data collector for web sites where AJAX is not required for data extraction. * Visual Web Ripper can repeatedly submit forms for all possible combinations of input values in dropdown boxes, or you can supply a list of input values by yourself. * You can supply parameter data from a database, such as form input values or URLs that should be visited. Qweas is providing links to Visual Web Ripper 2.103 as a courtesy, and makes no representations regarding Visual Web Ripper or any other applications or any information related thereto. Any questions, complaints or claims regarding this application Visual Web Ripper 2.103 must be directed to the appropriate software vendor. You may click the publisher link of Visual Web Ripper on the top of this page to get more details about the vendor.